BlueWater Magazine is dedicated to bringing gamefishers the essential cutting-edge wisdom on offshore gamefishing, boats and equipment. With stunning photography blended with exciting features from the world’s leaders of the sport, we aim to deliver knowledge and inspiration that will make a real difference to the success and enjoyment of beginners and experts alike. Driven by a fierce passion to capture the underwater realm on camera – particularly the large pelagic gamefish we love – Tony Ludovico has travelled the world and spent countless hours submerged. His stunning photography reveals a world hidden to most of us behind the surface veil. 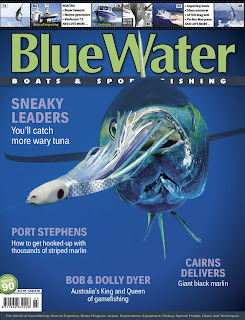 This issue marks BlueWater’s 15th birthday and there have been many extraordinary changes to our sport during that time. 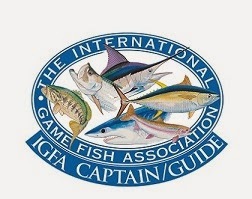 tackle to tackle bigger fishSubstantial advances in reel and line technology have revolutionised gamefishing over the past 15 years.